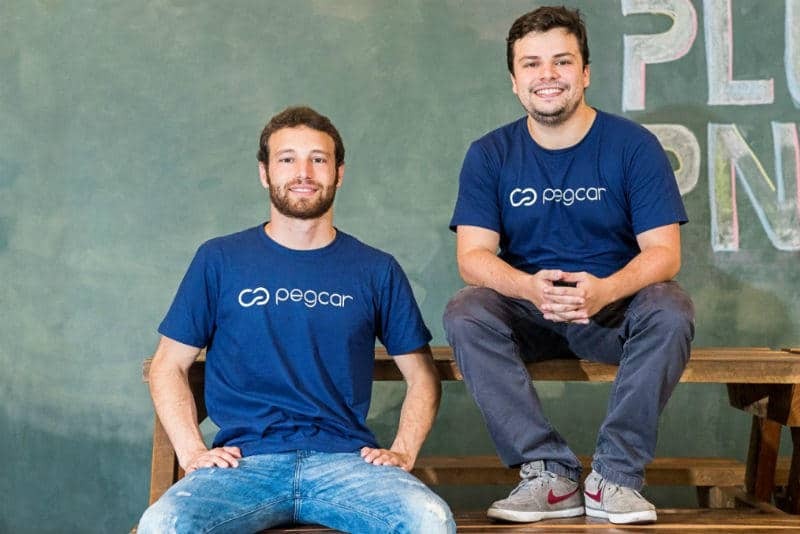 Pegcar is a start-up in Brazil that connects owners who seldom use their vehicle with individuals who occasionally need to rent one. Pegcar is a start-up in Brazil that connects owners who seldom use their vehicle with individuals who occasionally need to rent one. They chose MAPFRE as their insurance company given our positioning and focus on innovation. In this article, its founding partners share with us the keys to this business and their experience. This is an online platform that facilitates car rentals between individuals and has been a MAPFRE client since 2015. Pegcar’s concept follows the growing trend of the collaborative economy. More than a transport company, this start-up is a social network that facilitates communication between users wishing to make a car they seldom use more cost effective and rent it out quickly and efficiently. In the following interview for The World of MAPFRE, Conrado Ramires and Bruno Hacad, its founding partners, explain the keys to this business model. What is the mission of your start-up? Pegcar’s mission is to empower people through shared mobility. Pegcar’s target audience comprises, firstly, people who have a car they use very little and need extra income; and, secondly, drivers who do not have a vehicle, yet for some reason occasionally need one. In general, they are young people up to 35 years of age, middle class, less attached to material goods and committed to the collaborative economy. Currently, most people who own cars live close to their workplace, work from home or use some other form of transport to commute to work. ¿How long has Pegcar been a MAPFRE client? And why did you choose us? We became MAPFRE clients in October 2015. We chose it both for its size and the positioning of the Group; but also for its focus on innovation, intelligent mobility and the collaboration economy. Moreover, it was the only company able to offer us a specific policy for our business model, a specialized insurance policy for P2P car sharing.